Once a farmer’s daughter, always a farmer’s daughter. One of our residents, Nancy Morton, engages daily in taking special care of the community where she has lived her whole life. 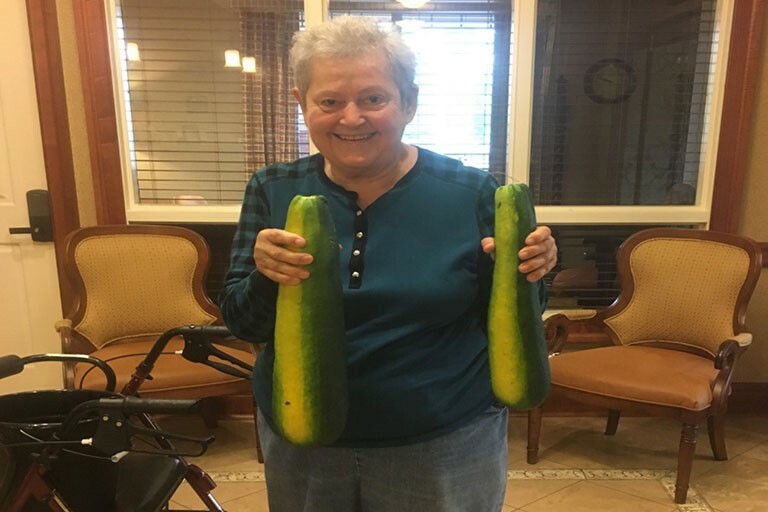 She takes a keen interest in flowers and gardening and has planted several items in the gardens here at The Bridge at Hickory Woods in Antioch, Tennessee. 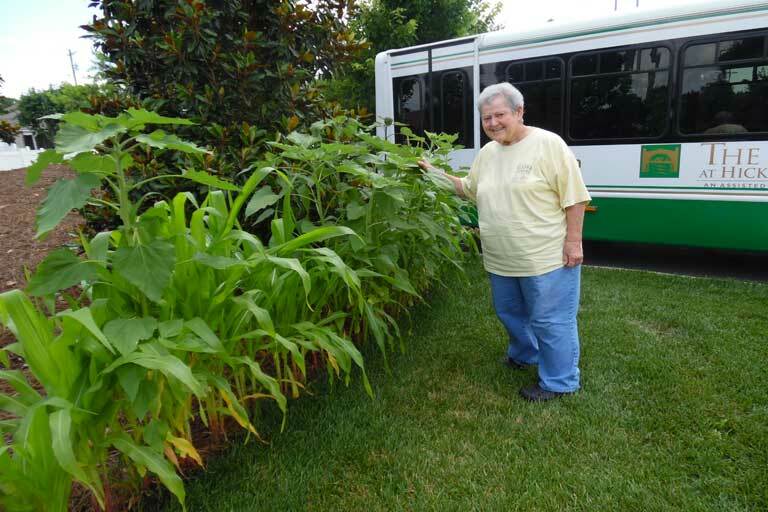 Morton is an energized and enthusiastic lady when it comes to anything that grows. 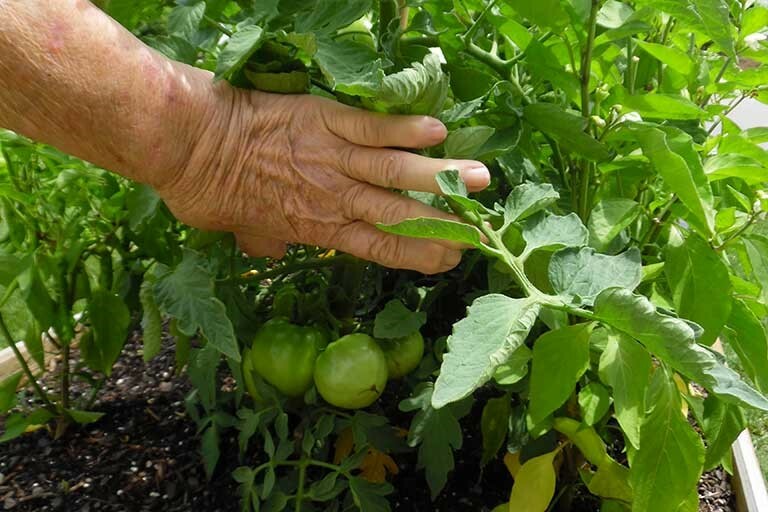 She believes in living well and shares the wealth of bell peppers, corn, tomatoes, squash and zucchini with anyone who wants them. 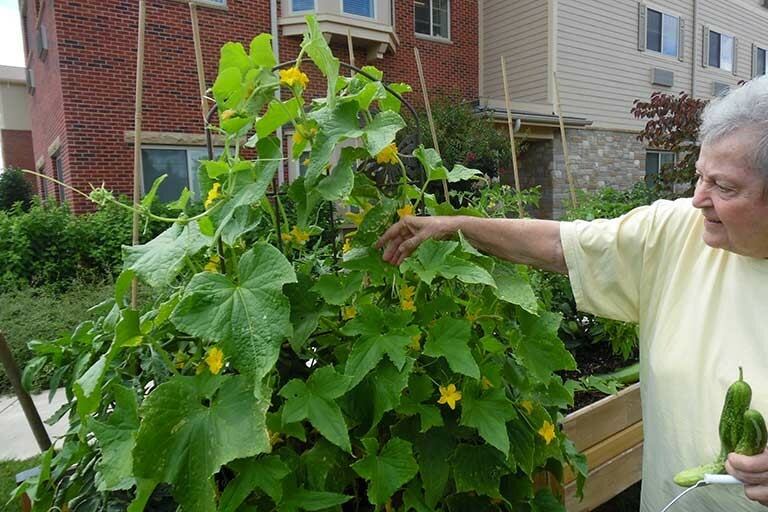 Growing fresh vegetables and fruit brings her and the other residents much joy.